At TechPixies we recognise that women require confidence in order to go back to work in fulfilling, stimulating careers, to upskill or to start a business. We believe one of the best ways to gain confidence and therefore choice over your future is through education. Our courses in Social Media, Digital Marketing and WordPress will help you to upskill and discover your sparkle! 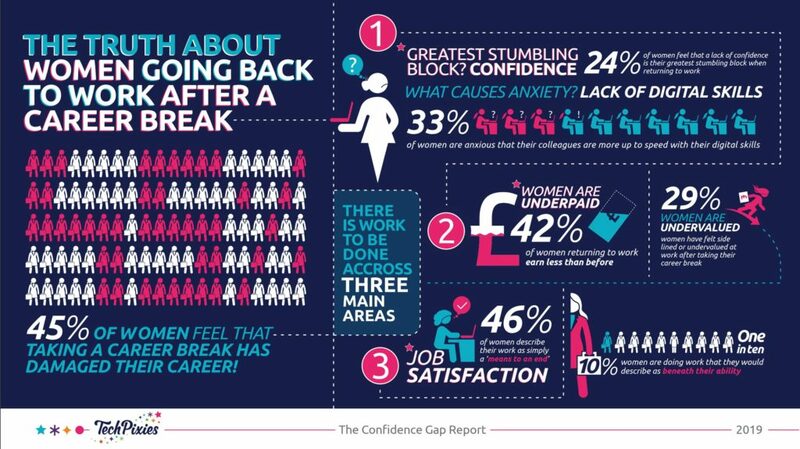 TechPixies recently published The Confidence Gap Report which reveals the truth about women going back to work after a career break. We asked 1000 working women what impact time out of the workplace had on their career. It is clear that there is work to be done across three main areas: Confidence, Earning Power and Job Satisfaction. ⭐ 2018-2019 We expanded our TechPixies reach by making our courses available online and became CPD members! TechPixies recently raised £150k of female-led investment and in doing so was able to move the full TechPixies programme online. In the spring of 2019, we launched our Step by Step Social Media Magic Course. In 2018, TechPixies won a suite of awards including Women in Business Startup of the Year 2018, the IoD Startup Director of Year for London and the South. TechPixies Founder Joy Foster was named to Grant Thornton’s 100 Faces of the Vibrant Economy. ⭐ 2016-2017 Crowdfunding, a visit from the Prime Minister and our first major award! We became a Limited Company and we won an UnLtd ‘Grow it’ Award. We also ran a successful Crowdfunding Campaign and received a special visit from the Prime Minister, Theresa May. Our crowning achievement was being named Enterprise Nation’s Female Startup of the Year 2017. Our founder, Joy Foster, was the highly commended ‘Women’s Champion’ at the Social Enterprise UK Awards. 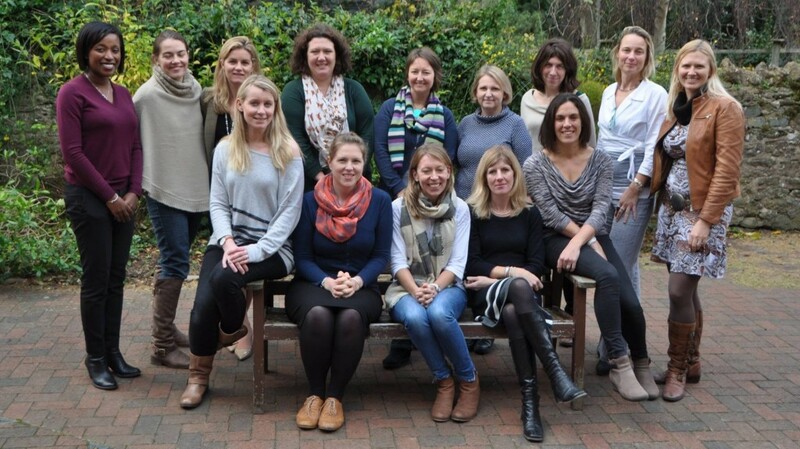 TechPixies launched in 2015 as a pilot project funded by Better Broadband for Oxfordshire and the Oxfordshire County Council who distributed a Government Equalities fund with an aim of helping women return to work with improved tech skills. We initially worked with 12 women, all of whom have now returned to work. Joy Foster is the founder and managing director of TechPixies. Joy is passionate about helping women return to work, change careers or start a business. 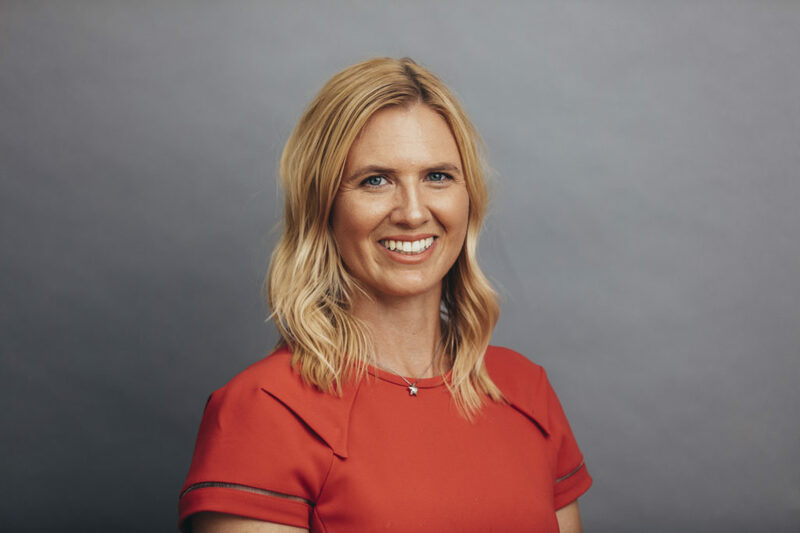 She was recently recognized by Grant Thornton as one of the 100 Faces of the Vibrant Economy 2018 and was awarded Startup Director of the Year for London and the South by the Institute of Directors (May 2018). 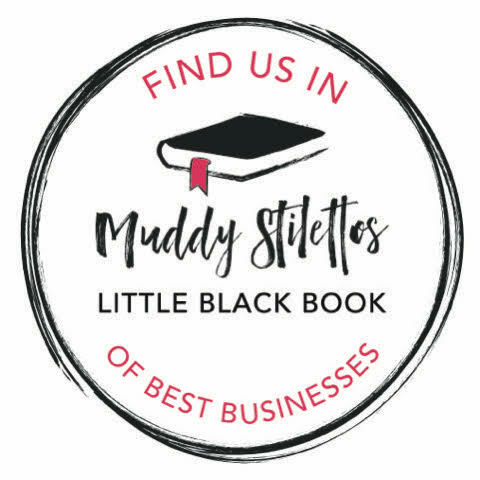 She was the only Startup female finalist in the national IoD awards (Oct 2018). We are currently focused on upgrading and delivering our primary programme: TechPixies Step by Step Social Media Magic. We also offer a WordPress.com in a Day course as well as a Digital Marketing Principles course and an all access pass for those interested in working through all three. Want to be the first to know when enrolment opens? Sign up for our weekly tips!